The purpose of this document is to maintain an ongoing digital representation and record via the Web of current efforts to preserve the history of MMUUS and maintain a corresponding archival collection. The associated documents are presented in chronological order for 2007. The 2006 NYSCU grant enabled MMUUS to move forward with several new initiatives aimed at preserving our church history and to form an active History Committee. An ongoing digital reporting tool, / archives2005-2006.html, shows these activities and the Committee’s progress. The revitalized MMUUS web page, http://mmuus.org/, now contains considerable “historical” material. Overall, there is a renewed appreciation for and understanding of the need to preserve church history with parishioners feeling more connected to our rich heritage. Because History Committee members have gained important experience by working with the various initiatives, we are anxious to share what we have learned with others. For example, two district-wide sharing efforts were made during 2006 as we gained knowledge and skill. Roger Hiemstra presented at the April annual SLD Assembly in Geneva, NY, on the work being accomplished in expanding the knowledge about Sam May. Roger Hiemstra and Harsey Leonard presented at the October NYSCU annual meeting in Albany involving a hands-on workshop on paper records and media preservation. We believe we can expand on such experiences and help promote an awareness and appreciation of UU history in the St. Lawrence and Metropolitan New York Districts. This will be accomplished via two workshops throughout the districts as described below. Ultimately, especially as increasing amounts of historical material and artifacts are preserved and displayed within local churches and on the World Wide Web, the pubic awareness of and interest in Unitarian Universalism will be increased. 1. Continue the many preservation activities at MMUUS initiated through the 2006 grant. 2. Create display areas at MMUUS as visible portrayals of history’s importance in promoting Unitarian Universalism. 3. Share knowledge gained from our first year’s experiences with others in the St. Lawrence and Metropolitan New York Districts. 1. Continue web page development related to church history and continue enhancement of the Sam May web page. 2. Continue interviewing of long term MMUUS members and former members to gather recollections and new historical information (Document 13 within /archives2005-2006.html provides a description of the interviewing plan). 3. Continue with collecting, inventorying, and preserving MMUUS historical records. 4. Continue digitization of existing paper and older media records for long-term storage. 5. Continue sharing historical information with church members and friends through newsletter articles, periodic electronic displays during Sunday social hours, and electronic displays at the annual and other appropriate church meetings. 6. Create biographies for the Dictionary of Unitarian and Universalist Biography (http://www.uua.org/uuhs/duub/) for two or more past May Memorial ministers. 1. Build and mount a glass covered display case for historical records, materials, and artifacts that will be changed regularly (see Attachment A). 2. Create and mount plaques that honor past MMUUS award winners (as shown at /awardees.html) (see Attachment B). 1. Conduct Saturday workshops in the Albany and Syracuse areas covering (a) needed policy related to collecting and storing historical material; (b) gathering, storing, and inventorying historical material; (c), interviewing long-term church members to gather historical recollections; (d) preservation techniques, procedures, and resources; and (e) digital conversion for long-term storage of paper material, slides, films, etc. (see Attachment C for a proposed workshop agenda). 2. Create and publish on the World Wide Web an online version of the workshop information for people unable to attend a scheduled meeting. 3. Present information about Sam May and his many contributions at one or more churches in the St. Lawrence District. The workshops noted above will be scheduled in collaboration with the St. Lawrence and Metropolitan New York District officials so that conflicts are avoided and leadership development efforts are complemented. For example, it is anticipated that SLD Administrative Assistant, Sue Tabone, would be invaluable in help with securing venues, publicity, registration, and creating appropriate data bases. Finally, the project director (Roger Hiemstra) will carry out appropriate management of available funds, have overall responsibility for managing the workshops, coordinating the various project activities, providing periodic reports to the church board, History Committee, and minister, and complete all progress and final reporting as required by NYSCU. He will donate 25 to 40 hours per month to these various activities. See /resume.html for Hiemstra’s resume showing relevant work experience. In addition, see /archives2005-2006.html , a web page that summarizes the 2006 project activities under his leadership. Please provide a summary budget for the present year for your congregation or UUA affiliated organization. Identify organizational participation in training programs relative to leadership, canvass, growth, religious education, or long-range planning. As a means for showcasing MMUUS’ wonderful and interesting history, it is proposed that a display case be created and hung outside of the social hall. It would be made out of wood and roughly the dimensions of three feet by two feet and six inches deep. A lockable glass door would enclose the case. To enhance vision of the contents, subtle lighting would be added above the case. The work involved in completing this project would be arranged by History Committee members, but under the guidance of the Building and Grounds Committee. As a tribute to our past award winners announced during the 2006 Annual Meeting, it is proposed that plaques with the names of all such past award winners be created and hung on the outside north wall of the social hall roughly above the water fountain area. Three plaques would be created, one for the Annual Award, one for the Unsung Hero Award, and one for the Sam May Award. A plaque honoring the annual Mary Lib Whitney Award winners is already displayed outside DRE Jennifer Hamlin-Navias’ office door. See /awardees.html for a portrayal of past award winners. Because this is envisioned as an eye-catching, attractive display, they would be hung at approximately an adult’s eye level and fashioned securely to the wall to prevent removal. Gold name plates featuring each year’s winners are envisioned, including space to add future winners. A larger name plate describing the award would be displayed at the bottom or top of each plaque. To enhance vision of the display, subtle lighting would be added above the case. The work involved in completing this project would be undertaken by History Committee members, but under the guidance of the Building and Grounds Committee. The workshop plan is to identify an UU church willing to host a one-day workshop (in the Albany area) for 15-30 people from UU churches within a reasonable driving distance who are interested or already involved in preserving church history. In addition, a one-day workshop would be held in the Syracuse church. A modest registration fee of at least $25.00 would cover expenses incurred by the host church in providing the meeting space, appropriate workshop display equipment/supplies, refreshments for breaks, and lunch. Coffee/tea/juice and light refreshments would be available at arrival time. MMUUS History Committee members will be the presenters. *Could be eliminated or reduced if host homes for facilitators can be found. Continuing in January, 2007, articles related to our history under the heading “Marvelous History Corner!” were included in the church newsletter as another means for informing church parishioners and friends about and generating interest in our history. They are shown below. The date shown after each number is when it was written. It was published in the next church newsletter after that date. 1. (1/9/07) When you get an opportunity, stop down to the Memorial Garden area and look at the Sam May marble tablet. It will take your breathe away when you think that it first adorned a May Memorial church wall in 1885 and now it rests on an MMUUS church wall once again. Thanks to all who helped in some way in the process of this becoming reality. Go to our web page (www.mmuus.org) and click on the link to the Samuel May plaque home at last for more information. Look, too, for a photo display just outside Rev. Marsh’s office showing the process of placing the tablet on that wall. As mentioned in the last newsletter, here are a few more priceless nuggets from the Mrs. Kenneth Kindelsperger and Polly Lape committee that gleaned some reminiscences about out church during its long history. Elizabeth Manwell, for example, remembered that for years in the James St. church, there were “Children’s Sundays” several times a year and eventually with so many children they actually encircled the entire congregation. She also recalled one Sunday right after the church school had been given a victrola (wind up record player). She placed it next to a curtain that separated the religious education area from the sanctuary altar. During the junior service that first week it was there she played a rousing record of an Indian Tribal Dance to illuminate a folk story they were studying, not thinking about how the sound would carry so well through the curtain. After the service, Rev. Dr. Argow asked her quite gently not to that again. Her music happened just as he began his prayer in the sanctuary; he thought it was coming from the organ and that the organist had missed his cue, so he kept on praying thinking the organist would figure out what was happening and stop playing. Dr. Argow told her that he just kept on praying louder and louder thinking the organ would stop, but eventually he had to stop praying thinking the organ had won until he figured out from where the music was coming. Think about that the next time any of us hear some noise in the foyer during a Sunday service and find ourselves becoming slightly irritated. Florida Tracy talked with fondness about the wonderful work of the Women’s Alliance. During the Rev. Calthrop and Rev. Applebee ministries right up until WWI, the Alliance annually gave a Christmas noontime dinner and entertainment to our church youth on a Saturday before Christmas. Eventually, the Alliance voted to include the poorest children in the two nearby elementary schools. This involved 75-100 children, ages 6-8, who typically did not have much of a Christmas simply because their parents could not afford it. She talked about the heart warming sight of seeing the wide-eyed kids before a lighted tree and then as they received food and gifts. She talked, too, that this notion of giving actually went all the way back to Rev. May’s era when church women made hospital clothing and bandages that were shipped to the Union front during the Civil War and then the making of garments and bandages that the Red Cross used in WWI and WWII. They also made garments and sleepers for refuge infants during both wars. It certainly makes me proud to belong to a church that has such a wonderful and long social action heritage. It seems so common today that sports contests can be held in the evening with all the available stadium lighting. Floss Eustin remembered early in the last century when she and family members would travel to Rev. Calthrop home, known as Primrose Hill, on Sunday afternoons for picnics and visiting with others. Sam, who was a tennis enthusiast, would string lanterns around his tennis court so tennis matches could continue into the early evening and then there would be dancing until midnight. Helen Eager also remembered people frequently going to Primrose Hill after Sunday services where they could look through his telescope and he would talk about his astronomy interests. Polly Lape talked fondly about the custom of using the Sunday collection money gathered near Thanksgiving and Christmas to buy food and clothing for those in need throughout the community. She also remembered Dr. Applebee’s interest in dramatics and that he engineered as a fundraiser in the church, a famous play in the 20s entitled, “The Old Peabody Pew,” a Christmas romance about a country church. She later became involved in annual Christmas pageants, also used as fundraisers. Finally, Gladys Timmerman recalled another interesting fundraising activity by the Women’s Alliance that “was a lot of work, but also a lot of fun, and brought people together.” It was called the “Department Store,” and involved the sale of various items. The Alliance also was known for its fundraising dinners that were so popular there would need to be several sittings before everyone was served. So the next time you are asked to help with a fundraising event, remember that they have been an integral part of May Memorial for many, many years. 3. (2/5/07) Sam May’s legacy is everywhere! In late January I was at Framingham State College (Framingham, MA) to deliver a keynote address on teaching adults for the college’s continuing education faculty. A panel of three faculty gave a reaction to my address after I finished. I met with them a half hour before the session to determine procedures. The first to arrive was a delightful Professor of History. As the others were gathering he began describing his current research project, an examination of the past Framingham State College presidents. He said his favorite president was Samuel J. May. You could have knocked me over with a feather, as I stammered that he was the man for whom my church was named. As we both enthusiastically began sharing information, some pieces from his life prior to living in Syracuse began dropping into place. Just a bit more about Sam. When he was beginning his ministerial work in Massachusetts, he laid much of the groundwork for his ministry with us. He formed a Peace Society in 1826 and in 1827 called the first State Convention on Education to consider the defects of common schools. While at the Scituate church his Sunday School children became staunch adherents of Peace and Universal Freedom. In his efforts to promote total abstinence, he also organized a “Cold Water Army” of a few hundred young people, who marched through the town and chanted "eternal hate to all that doth intoxicate." He put the rum dealers and liquor establishments out of business, but the people still loved him as a pastor. That was our Sam! 4. (2/13/07) Since becoming the MMUUS archivist, I have been fascinated with Sam Calthrop, our third minister. Besides being a beloved long-time minister of this church, he was well known as an athlete, philosopher, and even poet. However, one of his favorite avocations was dabbling in science. For example, on August 8, 1865, he filed a patent (No. 49,227) for “improvement in construction of railway trains and cars.” This was way ahead of its time and the forerunner of what became known as the bullet train. It called for tapering the front and rear to lower wind resistance, encasing each car with a false bottom for further sleekness, raising the tender to create a bullet shape, enclosing doors to make them flush with the sides of each car, enclosing the intervals between cars with flexible hoods, rounding as much as practicable the sides of all cars, and avoiding all projecting surfaces such as window ledges. The patent material included drawings that also seemed ahead of their time even by today’s standards. A need for cash with a growing family eventually resulted in sale of the patent. Oh! If he had only kept it and willed it to May Memorial! Another endeavor was his interest in the sun and sun spots. Using a telescope, he studied the sun for many years and began forecasting the weather based on his growing knowledge. The local Syracuse papers even relied on some of his predictions. For history buffs, an interesting related article can be found in the Syracuse Herald, April 4, 1915. Those non-skiers who have suffered through the cold and snow as of late can take solace in Sam’s thoughts from that article: “Be patient with the present weather conditions. The longer these conditions continue, the better weather we will have during the summer.” So, if you can find the sun, give it a glance and know that Sam is predicting a great summer for us. 5. (3/3/07) As we are near finding our next settled minister, let’s remember our past ministers. Much could be said about each, but only a few highlights are presented here. Our ministerial history begins with Rev. John Storer (1839-1844). He worked diligently to raise money for our first regular building, the Church of the Messiah. He traveled throughout the east soliciting nearly 40% of the necessary funds from friends, many of whom were not Unitarians. Most readers of this newsletter know much about Rev. Sam May, our 2nd minister (1845-1868), and Rev. Sam Calthrop, our 3rd minister (1868-1911), as several past history corner pieces have been about them (see the two web links shown at the end of this article for more information). Our 4th minister, Rev. John Applebee (1911-1929), was very active in the Syracuse community as well as with his May Memorial activities. He headed several civic and charitable organizations and supported the Association of Workers for the Blind, learning Braille so he could transcribe literature for them. Rev. Waldemar Argow, our 5th minister (1930-1941), was highly respected for his sermons. He was actively involved in Syracuse with membership in the Onondaga Health Association and a committee to study housing needs. He also was active in denominational activities and was a member of several American Unitarian Association committees. Rev. 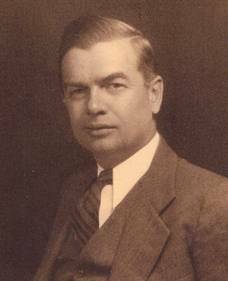 Robert Romig (1941-1946), our 6th minister, was not only respected as an effective church leader, he also stepped up during WWII to serve on the United War Fund that raised funds for the USO, War Prisoners' Aid, Seamen's Service, and various foreign relief agencies. Our 7th minister, Rev. Glenn Canfield (1946-1952), was active in the NAACP during his May Memorial ministry. He also chaired a Syracuse Council of Churches housing committee to improve living conditions for black residents. Our 8th minister, Rev. Robert Zoerheide (1952-1961), also served on the board of NAACP and supported civil rights and better housing efforts. He was instrumental, too, in convincing our congregation to support the Unitarian and Universalist merger. Our 9th minister, Rev. John Fuller (1961-1973), was very active in social action activities within the community, including the Civil Rights struggle and the anti-Vietnam War effort. He also counseled conscientious objectors and women seeking legal abortions outside of New York. Rev. Nick Cardell (1974-1995), our 10th minister, served as Chairperson of the Planned Parenthood board during the 1970s. He also protested the School of the Americas (SOA) at Fort Benning, Georgia, was subsequently arrested, and served a six-month jail sentence. Rev. Liz Strong (1988-2001), our first female minister (of Religious Education), also was heavily involved with the Planned Parenthood. In addition, she coordinated a strong adult education program for May Memorial. Our most recent settled minister, Rev. Scott Taylor (1997-2004), helped organize our efforts with the Southside Interfaith Housing Corporation and facilitated numerous Soul Matters adult education groups. Wow! What energy, dedication, and devotion to May Memorial and our community from them all. The heritage they helped create provides a solid foundation upon which the new minister will build our future. Check out /backwardglance.html, /stranger.html, and our church web page for even more information. 6. (3/20/07) On behalf of the History Committee, I am pleased to announce that MMUUS has received another grant from the New York State Convention of Universalists. This will enable us to continue our preservation activities, create some additional history display areas, and even share what we have learned as a committee with others in the St. Lawrence District. We still welcome anyone who would like to join the committee or volunteer to word process old material, scan documents, prepare documents for Syracuse University Library, etc. There have been many pieces in this column written about Sam May, but there is so much information pertaining to our namesake that can be shared. Thus, here is another piece. As many already know, Sam grew up in a fairly privileged home. He had eleven siblings but, as was often the case in the 19th Century, eight died as youths or as young adults. Only one sister and brother lived beyond their mid 30s. Sam therefore had many opportunities in terms of education, obtaining private schooling as a young person and then two Harvard degrees, including graduation from divinity school. The circles in which he was able to travel meant that he knew people like William Ellery Channing, Horace Mann, and Daniel Webster. Later in life he became friends with notables such as Susan B. Anthony, Ralph Waldo Emerson, Garrit Smith, and William Lloyd Garrison (publisher of the anti-slavery newspaper, The Liberator). He had many interesting relatives, too. One relative in the 17th Century published a history of the English Parliament. On his mother’s side a great grandfather was minister of Boston’s Old South Church, another relative wrote the first anti-slavery book in 1700 (The Selling of Joseph), great-aunt, Dorothy, married John Hancock, and great grandfather Chief Justice Joseph Sewell of Salem, was the first official to expose the Salem witchcraft delusions. His father, Joseph (a successful businessman who would have become a minister had not the Revolutionary War intervened), was a long-time Warden (lay leader, often involved in day-to-day church operation) and ardent supporter of King’s Chapel in Boston, the first Unitarian Church in the United States. In fact, Joseph is buried in a church crypt. Andy Tripp shared a photo he took of the explanatory marble tablet. It can be seen at /crypt.html. Finally, his sister, Abigail, was the wife of Transcendentalist, Amos Bronson Alcott, and their daughter was Louisa May Alcott who authored Little Women and many other books. Sam obviously led an interesting life, including the time he spent in Syracuse with our congregation. 7. (4/2/07) Father Roy Bourgeois’ April 1st Sam May day presentation on his ongoing work to bring about closure of the United States’ shameful School of the Americas at Fort Benning, Georgia, was most meaningful. He said many things that conjured up connections to our history. Obviously, we all feel tremendous pride in the sacrifices Nick Cardell, Dan Sage, Doris Sage, and several others from Syracuse and throughout New York made directly related to the SOA watch, but there are other historical connections. Quite early Rev. Bourgeois said, “our greatest enemy is ignorance.” Sam May is remembered for his important work in abolition and his foundational efforts in the eventual repealing of the dreaded Fugitive Slave Act. However, what many don’t know is that Sam overcame some initial ignorance about slavery to reach these crucial efforts. Sam preached his first sermon on the evils of slavery in 1820. In 1829 he became an active member of the Windham County Colonization Society. The colonization movement’s goal was to ship all slaves and even “free Negros” from America to Liberia as a believed humane way of ridding the country of various related social and political problems. It was William Lloyd Garrison who helped Sam overcome his ignorance about the injustice of the Colonization Society’s approach. After hearing an October 15, 1830, speech by Garrison, Sam and others talked for hours with him and Sam had what he later called his “midnight conversion.” He said “that night my soul was baptized in his spirit, and ever since I have been a disciple and fellow-laborer of William Lloyd Garrison.” Fortunately, out of that initial ignorance grew a leader who became so important in helping to rid the country of slavery. 8. (4/14/07) The story of Sam May and Prudence Crandall, a Quaker, is a forerunner of his advocacy both for education and abolition while in Syracuse. Prudence opened a Female Boarding School in 1833 in Canterbury, CT, near Brooklyn, CT, Sam's first ministry. Within a few weeks Prudence enrolled Sarah Harris, daughter of a black farmer. The entire village soon was in an uproar and several leaders demanded she dismiss Sarah. She courageously refused and community members began pulling out their children. Sam heard about it and wrote Sarah offering to help in any way he could. She found solace and courage in his encouragement, making it known her school would be opened to "young ladies and little misses of color." The community's uproar became even more intense and she wrote to Sam requesting assistance. He quickly came to Canterbury and found much about which to be concerned. He returned to Brooklyn and rallied others to provide her support. She asked Sam and Calvin Philleo, who later became her husband, to represent her as attorneys at a Canterbury town meeting. Sam and Calvin were vilified there and even physically threatened. Prudence eventually had several black students, but there was much harassment by community members, including physical damage to the school and her home. The Connecticut state legislature even enacted a "Black Law" which forbid the establishment of any black school unless approved by school district voters. However, Prudence kept her school open, was then arrested, and jailed. She was brought to trial in August, 1833, and the state's Supreme Court eventually overturned a sentence. Unfortunately, the community continued tormenting Prudence and the students, almost succeeding in burning down the school. Prudence finally closed it out of fear for their safety. Sam May was the one to tell students the school was closing and later stated how much agony he felt: "I felt ashamed of Canterbury, ashamed of Connecticut, ashamed of my country, ashamed of my color." This all is a sad reminder of how little we have changed during the past 175 years. Three quick notes: (a) Photos of Sam and Lucretia May's headstones are at http://www.mmuus.org/who-we-are/history/may-headstone.html; photos of headstones for our third minister, Sam Calthrop, and his family are at /calthropfamily.html ; (b) Betsy Fuller recently shared a delightful book, Letters of Love and War: A World War II Correspondence , by Helen Dann Stringer – Helen lives at the Nottingham and was active at May Memorial years ago – the book beautifully displays 575 letters exchanged between Helen and her husband, Syd, an army doctor during WWII (May Memorial and Rev. Romig are mentioned a few times); and (c) We need any church mementos you might be willing to donate to our archives such as Lillian Reiner, Gutsy Lady, Sam May's Some Recollections of our Antislavery Conflict, any other books written by or about church members, etc. For example, read about his very early years, including his time at a boarding school. Gain some insight into why he became such an incredible thinker, how he developed an interest in science, and the process by which he became such a talented athlete. Read about his skill development as a chess player, including descriptions of how he defeated several older opponents. Experience his growing skills as a teacher. In terms of this web page as a history guide, see how he came to know William Henry Waddington, a school mate, who eventually became a French Prime Minister. Learn when Robert E. Lee asked him to teach West Point cadets how to play cricket. Enjoy the first time he met such notables as Ralph Waldo Emerson, Oliver Wendell Holmes, and Julia Ward Howe. He even preached for several months in Theodore Parker's (a famous early Unitarian minister) church in Boston before coming to Syracuse. An enjoyable chapter is Edith's description of how her father invented and patented the "Air Resisting Train." Another delightful experience (archivists have all the fun) was discovering in our archives several weeks ago a 380 page unpublished manuscript that is a biography of Sam May. Authored by Professor W. Freeman Galpin (a long-time SU history professor until his death in 1963), it provides a wonderful new glimpse into Rev. May's life. I gained a much deeper understanding of Sam by reading it. The good news is that it can soon be shared with everyone. I obtained permission from his daughter to include it on our web page. I've word processed the first chapter and placed it on the web to give you a sneak preview: /galpin-may.html. However, volunteers are very much needed to finish the effort. If you are interested in word processing a chapter or two, please let me know. 10. (6/4/07) Several things came together compelling this article: (a) Feeling so gladdened by Paul Darmody-Latham's safe return from Afghanistan; (b) hearing John's powerful Memorial Day sermon; (c) our weekly anti-war vigiling efforts; (d) viewing The Ground Truth, about the struggles many U.S. men and women face after returning from Iraq; and (e) thinking about Michael and Mariah Dillon's daughter currently in the military as we all hope she stays out of harm's way. The angst many of us feel about war, patriotism, and political wrangling is real, but not new in our church history. Sam May experienced much personal conflict throughout life regarding people's suffering because of war, slavery, gender discrimination, and many other issues. He was especially torn as the Civil War approached. Sam felt deeply that war was a sin but also believed that any peace built on continuing slavery was a bigger sin. From his diary in July, 1862: "Nothing but slavery seems to be so bad as war." He finally came to the agonizing decision that the war must be fought to end slavery. This type of agonizing has existed for May Memorial parishioners and leaders for decades. Several of our past church members served in the military, with many war-related deaths in World Wars I and II. Rev. John Applebee (minister from 1911-1929) so agonized over WWI that he received a leave of absence to work with the Red Cross overseas for several months. Rev. Nick Cardell (minister from 1974-1995) was a prisoner-of-war during the second world war. Nick Cardell, Dan and Doris Sage, and others in the Syracuse community even served prison time after protesting this government's training of South American military leaders who, in turn, brutally suppress people in their own country. It is, of course, naïve to assume that such agonizing will ever cease. Our inability to get along with others seems a constant, and new generations usually repeat the errors of the past. Perhaps the cries for peace, justice, and good will that reach us down through the history of May Memorial will sustain us in our own efforts to work together even more successfully through our new Covenant of Right Relations. 11. (7/16/07) I've recently read what has been on my "to do" list for some time, a sermon preached by Sam May to our predecessors on Sunday, September 15, 1867. By my reckoning, it must have been nearly two hours in length, but, wow, was it revealing. Entitled "A Discourse," it turned out to be Rev. May's resignation sermon. It no doubt caught many parishioners by surprise, but the energy, compassion, and retrospective insights he packed into what was eventually labeled as "A Brief Account of His Ministry," must have kept the audience captivated throughout. Fortunately, as often happened during that time period, a power packed sermon deemed worthy of historical capture immediately resulted in several church leaders formally requesting by letter that Rev. May make his copy available. Then a group placed his hand written message into a publishable form and disseminated it. A copy survived and was included with Sam's papers donated to Cornell University after his death. You can read this fascinating account of his life as a minister at http://dlxs.library.cornell.edu/m/mayantislavery/index.htm Then click on "Search the Collection," next click on "Search" within the text description of the collection, and, finally, type in "a brief account of his ministry" within the "Find" box and hit "Search." Finally, the History Committee will be coordinating the Sunday Service on August 12. We'll take a walk down memory lane regarding our past church buildings with slides, narration, and reflections by several church members who were part of our church community bridging across the former James St. church to our current site. We hope you can join us. Immediately following the service there will be a formal dedication of permanent photos of our past ministers in the Memorial Room. Join us there, too. 12. (8/19/07) Harsey Leonard and I, assisted by other History Committee members conducted the August 12 Sunday Service (see /aug12oos.pdf for the Order of Service). Slide shows supplemented the “sermon” presentations (see /churchbuildings.pdf) as well as a handout (see /buildinghistory.pdf). We were gratified by a large summer attendance and appreciated the support of Doug Aird, Malcolm Clark, Hank Manwell, and Al Obrist as they shared some memories. This was followed by a dedication service for our past ministers’ photos now hanging in a permanent “memories” display on the east wall of the Memorial Room. See /dedicationprogram.pdf to examine the related material and see the photos when next you are in church. A few weeks ago I learned that the SU Special Collections had purchased 12 letters (eight by Sam May), written 1852-1858, on Sam’s efforts to develop a school for youth on the Onondaga Reservation. Reading them was enjoyable and I’d recommend the experience. See /sammayletters.pdf for more information. About the same time President Fred Fiske shared with me a new Beacon Press book. Titled Beacon Press and the Pentagon Papers, it is a fairly quick read but excellent discussion of Beacon Press’ courageous decision to publish the Pentagon Papers in the early 1970s and the legal entanglements that followed. The book is chilling in many ways and as one reviewer noted, it is a message for our own time. I was recently doing research on Sam Calthrop and came across a fascinating description of him in The Craftsman, an October, 1905, publication by Gustov Stickley. It is worth examining just to see the neat ads of Stickley furniture. You can read it at http://digicoll.library.wisc.edu/cgi-bin/DLDecArts/DLDecArts-idx?id=DLDecArts.hdv09n01 . Finally, here is a bit of MMUUS history trivia. Why did Rev. W. W. W. Argow have so many names? He was a fifth generation minister and his parents may have expected he, too, would go into the ministry. His first name, Wendelin, was for the father of Transcendental philosophy, German scholar Wendelin Meyer. The second name, Waldemar, was for the bishop of West Goths, who in 390 A.D. brought Christianity to the pagans of the Teutonic woods. His third name, Weiland, stood for the father of spiritualistic or idealistic poetry as noted in our early church history, A Backward Glance O’er Traveled Roads. 13. (9/05/07) Janet and I recently visited the John Brown farm and grave in North Alba, New York (http://www.nyhistory.com/gerritsmith/nelba.htm), near the Lake Placid Olympic ski jumping complex. We are both reading Russell Bank’s Cloudsplitter, a recounting of abolitionist John Brown’s life, including the legendary raid on the Harpers Ferry armory, so the visit seemed appropriate. It was a wonderful experience and I highly recommend both the visit and the book. We had a wonderful guide, whose great, great grandmother helped John’s wife, Mary Ann, when John was gone because of his abolitionist activities. The guide provided an excellent tour of the home and regaled us with many facts and stories. It was clear that Mary Ann, like many spouses of abolitionists, had to carry a very heavy load just to keep the family afloat, as John was away from home more than he was there. John’s death, as well of the deaths of several sons during the raid, was a tremendous blow to be endured throughout the remainder of her life. No doubt John Brown, Sam May, and the many others who chose to be away from family for long stretches of time thought about what was being left behind and lamented, too, about the sacrifices. Obviously, this still happens today and those of us fortunate enough to be able to spend quality time with family can count our blessings. MMUUS will host the Samuel Calthrop Chess Championship on December 1 (http://www.mmuus.org/news&events/samuel-calthrop-chess-championship.html). It is a chance for us to showcase Rev. Calthrop and an opportunity for chess players in the area to become acquainted with our church. Perhaps some readers of this newsletter will consider participating. At Anton Ninno’s urging, I developed an informational piece for the media and any others who may want to know more. Here are some of the highlights. Our beloved minister for 43 years, the longest pastorate in our history and one of the longest in the history of Unitarianism, Sam made many contributions to Syracuse. He started the Syracuse Boy’s Club and gave lectures and offered classes to church members as well as others on a wide range of subjects, including botany, philosophy, poetry, geology, and astronomy. His skill in predicting the weather by studying sun spots led Syracuse newspapers to rely on his forecasts. He even grew the first tomatoes ever shown at the State Fair. Rev. Calthrop was a gifted athlete, too, excelling in numerous sports during his lifetime, including billiards, cricket, crew, tennis, rugby, and boxing. He made local news when one night he discovered a prowler in his house and dropped the poor man to the floor with a left to the chin. When he awoke, the burglar found the police ready to take him to jail. Sam Calthrop’s athletic prowess made him much desired as the person to teach others and during his time in the U.S. he coached crew teams for Yale, Cornell, and Syracuse Universities. He also coached the West Point cadet cricket team. One of his biggest loves, however, was chess. Having learned as a youngster, he grew in skill and began playing some of England’s best in his teens. He continued his passion for chess in the U.S. He was one of 16 players invited to the first American Chess Congress held in New York City in 1857. After moving to Syracuse he accomplished more chess feats, winning the New York State Championship in 1880 and 1883. When chess genius Harry N. Pillsbury once played ten simultaneous games of chess while blindfolded, his only loss was to Sam Calthrop. Sam, too, loved to play blindfolded and also play several games simultaneous. Among Syracuse friends with whom he played regularly were a rabbi, priest, and Presbyterian minister. Ah, Sam, our ecumenical pastor. 15. (10-3-07) I could write every newsletter article about Sam May for years to come and only begin to scratch the surface of his complexity. I anticipate that in many ways he thought of himself as no one unusual, just committed to things in which he believed. But, oh, there were so many things! In this article I provide a brief chronology of just his first three years in Syracuse where only a few of his many activities, endeavors, and interests give some insight into his varied life. · 1847: August, present at the founding of the Free Soil party (opposed to an extension of slavery into the U.S. territories newly acquired from Mexico) in Buffalo; September, Sam May and Frederick Douglas are leading speakers in a Syracuse abolition meeting; September, Sam attends the Syracuse meeting of the Liberty Party (anti-slavery in focus) and is selected as a delegate to the national meeting. Sam also was devoted to our church and seldom missed a Sunday service. He also found the time and means to minister to his “flock,” even though he frequently had to travel within New York and beyond. No doubt his time with his family was not what he wanted it to be, but Lucretia bravely kept the home fires burning. What little time he could spend with her and his children was precious indeed as he noted in his diary and in letters home. Heretic in Syracuse (http://www.mmuus.org/who-we-are/history/may-heretic-in-syracuse.html); Saint Before His Time (http://www.mmuus.org/who-we-are/history/covert-may-thesis.html); and God’s Chore Boy (/galpin-may.html). Although considerable MMUUS historical preservation activities took place from the late 1800s through the mid-1990s, most activities stopped by 1998. Current activities did not begin in earnest until early in 2006 when Rog Hiemstra began work as volunteer church archivist. A History Committee was then formed in the spring of 2006. Thus, this report represents the involvement of Rog, History Committee members, and a few others since then. An ongoing portrayal of many of the related activities can be found at /archives2005-2006.html and /archives2007.html. Two one-year NYSCU proposals for funding to assist with our preservation activities have been approved, one for $3200 in February, 2006, and one for $2500 in February, 2007. These grants’ primary objectives have been to better preserve material stored at MMUUS, prepare additional material for submission to Syracuse University (consider archival material is already there), develop procedures for future collection and preservation of historical material, repair and mount the Sam May marble tablet, mount several permanent history displays at MMUUS, and share our growing expertise about church history. Preservations Activities. Most historical material has been moved to the basement computer room with additional material identified for a move to this location. Much of it is in locked file cabinets, but space is a problem. Inventorying, organizational, preservation, oral history, and digitization actions are underway. Web Page Efforts. Rog has completed a web page on Sam May (http://www.mmuus.org/ who-we-are/history/sjmay.html), other material for the church web page, and material that will soon migrate to the church web page: http://www.mmuus.org/who-we-are/history/ministers.html, http://www.mmuus.org/ who-we-are/history/church-buildings.html, and /simulationpage.html. Improving Awareness. A number of activities have been carried out to enhance awareness of MMUUS’ interesting history, such as a regular newsletter column, periodic Social Hall displays, information about past MMUUS presidents and annual award winners, and occasional presentations within the St. Lawrence District regarding MMUUS’ history. Past Minister Photo Display. A task force (Joan Applebaum, Bob Burdick, Bob Coye, Rog Hiemstra, and Linda Wobus) worked with the Buildings and Grounds Committee to secure a place within the Memorial Room for a permanent photo display of past ministers to be completed before the 2007-2008 church year begins. This will include a plaque listing past church leaders (Associate Ministers, Music Directors, Religious Education Directors, etc.). Past Church Presidents and Award Winners Display. Plaques showing past MMUUS presidents and the various award winners also will be displayed in the Memorial Room (the Mary Lib Whitney Award for Special Contributions to Religious Education may be displayed outside the Religious Education Director’s Office), hopefully before the 2007-2008 church year begins. Permanent History Display Case. A glass enclosed and lockable display case will be mounted on the south wall of the north hallway leading to the Social Hall (in the vicinity of the drinking fountain). Displays of historical material and memorabilia will be changed at least four times each year. Preservation Workshop. Members of the History Committee will offer two one-day workshops on preservation, promotion, and display of historical material to interested church members and leaders within the St. Lawrence District. These workshops will be conducted on Saturdays in the fall. 1. We were pleased to welcome Alexa Carter who has joined the committee. She was given a set of keys and a round of applause. 2. Rog demonstrated the new VGA projector by practicing with the PPT presentation he will make at the Women's Luncheon this coming Saturday. Harsey Leonard brought in his own screen to see if it would also be appropriate for Saturday. 3. Rog gave a report on the status of the project to hang past ministers' photos. He had met with Bob Coye in the Memorial room on Monday to go over the plan that Bob and Joan Applebaum had developed. He also had talked with Mariah Dillon on Tuesday to obtain her approval of the plan and steps. Rog has an appointment with Bruce Macbeth on Thursday to seek a quote from him for doing the track lighting. Mariah has said she can contribute up to $200 from the Buildings and Grounds Committee to help complete the project, with a completion date expected prior to July 1. After some discussion, the History Committee said to move forward. Rog will view the photos created by Bob Burdick on Thursday. 4. Rog presented an update on the recent web page additions he has completed. See Attachment A. 5. Rog presented a budget status report. See Attachment B. 6. Rog presented a draft of the Annual Report. Some improvement suggestions were made. See Attachment C for the final version submitted to Karen. 7. Rog mentioned that there would be a History Committee display in the Social Hall after church on June 3 and asked that any suggestions for the display be communicated to him. 8. Harsey talked about what Rev. Ken Mochel from the Auburn UU church had accomplished in getting two microfilms with considerable historical information related to that church placed on DVDs from an organization in Buffalo. It was not inexpensive, some $300, but it is something we need to think about as a way of preserving the two microfilms in our own archives. 9. We talked a bit about the History Committee's presentation at the upcoming May 19 Women's Luncheon. Attachment D displays the tentative schedule. In addition, Rog will provide the initial training of Alexa on processing and preservation. 11. Rog mentioned that he hoped to interview Frank Macomber and Helen Stringer as part of our oral history project with long term members. Mary Louise mentioned that she hoped to interview some additional people this summer. Verah Johnson also volunteered to do some interviewing and Mary Louise will train her on interviewing techniques and the use of the digital recorder. Mary Louise also mentioned the need to keep a master list in Room 8 that keeps a running record of those who have been interviewed. Rog will create such a list and post it on a file cabinet drawer. 12. George gave a report on his discussion with Karen and the type of historical material (orders of service, newsletters, board minutes, etc.) stored in the office. George will write up a statement summarizing what is there and we can talk about what to do with these materials to ensure their preservation when we develop the policy statement described in the next point. 13. Rog reintroduced the need to develop a policy statement or guideline for the preservation of archival material and procedures for officers and leaders of the church in terms of routine saving of certain material. He noted that it makes sense to have a draft of such a policy in place prior to the fall workshops. Alexa wondered if the UUA might not have a template or some guidelines already in place for saving historical material. Rog will come up with an initial draft of a policy over the summer that the committee can examine at our next History Committee meeting. a. A permanent history display case. Mariah Dillon will ask the B&G committee to make decision on the best location at an upcoming B&G Committee meeting. Harsey will look online to see what might be available for purchase. George will search out some stores in the Syracuse area that sells trophies to see if any of them would sell such display cases. The approximate size of such a display case should be around 30-32 inches wide, 40-45 inches tall, and about 3 inches deep with a lockable glass door. If an appropriate display case cannot be found online or within the Syracuse community, then such a case will need to be built. Up to $700 from the 2007 NYSCU grant has been set aside for the case. b. Plaques or picture frames for past MMUUS religious leaders, past presidents, and annual award winners need to be purchased and installed on the east wall of the Memorial Room near the ministers' photos. In addition, a plaque or picture frame that will contain descriptive information about all the historical material on that wall needs to be purchased and installed. It would be useful to have all this done prior to the fall workshop. Alexa agreed to develop some initial plans for them. Up to $600 from the NYSCU grant has been set aside for this effort. If not all of those monies are needed, they can be used for point c below. c. A descriptive plaque to reside next to the Sam May marble tablet. The plaque will contain information about the story of the plaque, repairs by Professor DeRutte, etc. Rog agreed to develop some initial plans for this project. 15. Rog reported that the first fall workshop in which History Committee members provide training on the preservation and promotion of historical information to interested church members from within the St. Lawrence District will be Saturday, October 27. The Social Hall has been reserved for this workshop. Harsey recommended that I also reserve the Memorial Room and the Teen Room in case breakout room are needed (this was accomplished on the 16 th). In working with Sue Tabone in the district office, it was recommended that the Schenectady UU church be contacted as a site for a second workshop in early November. That has been done and we are awaiting their decision in terms of hosting such a workshop. Attachment E displays the tentative schedule for these workshops. Committee members will be asked during the summer or early fall to help with additional planning on these workshops. 2. The first chapter of God's Chore Boy: Samuel Joseph May , an unpublished 380 page biography of Sam written by SU History Professor, W. Freeman Galpin (now deceased), in 1947. I found it in an archival box stored in the loft. Permission was granted by his daughter, Harriet Galpin Hughes, for us to place it on our web page: /galpin-may.html Here is information on Professor Galpin: /galpin.html Volunteers are desperately needed to type a chapter or two of this long document. A related request appears in the next newsletter. * The actual cost was $895 for the projector and $30 for a tie down cable for a total of $925. The grant paid $595, Social Justice paid $180, and Buildings and Grounds paid $150. ** This could be eliminated or reduced if host homes for facilitators can be found. *** The 2006 grant was for $3200, but $550, as of yet unspent, has been set aside for hanging the ministers' photos. **** If there is money left over, we might be able to purchase an extra digital recorder if deemed necessary. 1. Marvelous History Corner articles were published in every newsletter and a variety of topics were covered. Many people have commented to a committee member about their value to them. 2. The History Committee met on three occasions. 3. Various preservation and organizational activities have begun on paper and media products. For example, digitization of both paper and media archival material is ongoing. In addition, considerable more archival material has been discovered and/or received and they now reside in Room 8 (basement). 4. A digital recorder was purchased with NYSCU monies and four people have been interviewed via oral history techniques with more planned in the future. In addition, audio and video interviews of several people in past years have been converted to a digitized format. 5. Considerable new material has been added to the May Memorial web page, the Sam May web page, and the off-site web page maintained by Rog Hiemstra. For example, a manuscript on the younger years of Sam Calthrop written by his daughter was recently added, and a biography of Sam May written by an SU history professor several years ago is in the process of being added. 7. The Mary-Lib Whitney Award for Special Contributions to Religious Education was updated and the plaque redone. It now resides outside Jennifer Hamlin-Navias' door. 8. Roger and Harsey presented on our preservation activities at the annual NYSCU conference in Albany, October 8, 2006. 9. The Sam May marble tablet was repaired by Professor Ron DeRutte, dedicated, and mounted in December on the outside southwest wall facing the Pavilion. 10. A second NYSCU proposal was submitted in December and $2500 was received to continue our efforts during the 2007 calendar year. Such efforts include more preservation activities, creating a permanent history display area, and sharing the committee's growing knowledge pertaining to preservation with interested SLD members in two Saturday workshops in the fall, 2007. 11. A letter and resource guide related to our archives was mailed to all North America seminaries that work with students interested in the UU ministry in the hopes some students may be interested in doing related research papers or projects. It is displayed at /mmuusresearch.pdf. 12. A proposal for a permanent display of photos of past ministers was approved and is currently being designed. The display along with information on past church religious leaders and award winners will be in the Memorial Room. 13. Roger presented on Sam May during a Sunday service at the Auburn, NY, UU church. 14. A projector for connecting computers and other media to display digitized information to a screen has been purchased. Committee Members: George Adams, June Card, Alexa Carter, Mary Louise Edwards, Roger Hiemstra (Chair), Harsey Leonard, and Verah Johnson – Note: We are always looking for additional committee members and for volunteers to help us with many of the activities noted below. 1. New York State Convention of Universalists (NYSCU) Grants - Two one-year NYSCU proposals for funding to assist with our preservation activities were approved, one in 2006 and one in 2007. These grants have enabled us to better preserve material stored at MMUUS and other activities noted elsewhere. 2. Preservations Activities – We have many historical material stored in Room 8 of the basement. We are carrying many related inventorying, organizational, paper preservation, media preservation, oral history, and digitization actions. 3. Web Page Efforts – A web page on Sam May (http://www.mmuus.org/who-we-are/history/sjmay.html) has been completed, as well as many other related web material already on the church web page or on an alternative web page (http://www.mmuus.org/who-we-are/history/ministers.html, http://www.mmuus.org/who-we-are/history/church-buildings.html, and /simulationpage.html). 4. Improving Awareness – We have carried out a number of activities to enhance awareness of MMUUS’ interesting history, such as a regular newsletter column, periodic Social Hall displays, information about past MMUUS presidents and annual award winners, and occasional presentations within the St. Lawrence District regarding MMUUS’ history. · Continued preservation and web page development efforts. Volunteers are always welcome to assist with these efforts. · Permanent history display case. A lockable, enclosed glass display case will be mounted so periodic displays of historical material and memorabilia can be shown. · Preservation workshop. Members of the History Committee will conduct two one-day workshops on preservation, promotion, and display of historical material to interested church members and leaders within the St. Lawrence District (one will be at MMUUS on October 27). If you have any historical material, media, photos, or memorabilia, or any books or other publications authored by MMUUS people, we would love to receive them as donations. Herbert Baxter Adams award to the American Historical Society. He authored books on the history of Syracuse University and Upstate New York. Professor Galpin was active in various professional organizations. He also served as a major in the U.S. Army from 1918 to 1919. An active member of the Episcopal Church, he served there in various leadership roles. He and his wife, Gladys, had two daughters and four grandchildren. He passed away in 1963. The east wall of the Memorial Room has been designated the “Memories” wall. Anchored by the Sam Calthrop and Sam May busts, it provides information about past church presidents, past religious and music leaders, and past annual award winners. It also showcases beautiful photos of our past 12 settled ministers. The following material depicts this wall and its formal dedication. This east wall of the MMUUS Memorial Room has been designated as the “Memories Wall.” Officially dedicated on August 12, 2007, it serves as a symbol of the many treasured memories that make up the history of May Memorial Unitarian Universalist Society. We trace our rich history to around 1835 when early Unitarians who had migrated to Syracuse courageously began seeking like-minded people, finding ways of bringing Unitarian ministers to the community for occasional church services, building our first building in 1839, and calling our first minister that same year. More information on our rich past can be found in our two on-line church histories. The wall begins with these four picture frames describing this wall, listing our past religious and music leaders, showing our annual award recipients, and honoring our past presidents. The marble bust closest to the street is of Rev. Dr. Samuel R. Calthrop, our third minister who served us ably from 1868 to 1911. A preacher, scientist, lecturer, inventor, teacher, writer, and athlete, he was a beloved minister who contributed much to the Syracuse community as well. The second marble bust is of Rev. Dr. Samuel J. May, our second minister who served us from 1845 to 1868. Rev. May was one of the leading abolitionists in the U.S., a vocal advocate for women’s rights, a devout pacifist, and referred to by many as “God’s Chore Boy.” He truly lived as he believed and the church was named in honor of him soon after his death. 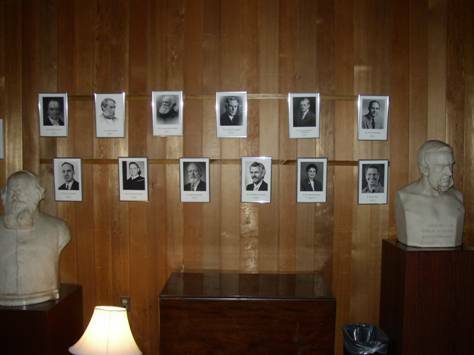 The twelve photos in between the two busts are in honor of all our past settled ministers. It is perhaps unusual to have only twelve ministers during more than 160 years of history, but we believe it represents the care taken in choosing each one, the devotion of each person to this church community, and the support given each by May Memorial parishioners. The sacred space represented by this Memorial Room is enhanced through our historical memories. We have had four official church sites and five different church buildings. Our first site, referred to as the “Little Tabernacle,” was completed in 1839. It was on E. Genesee Street, just beyond State Street, in a block now containing the Hiscock and Barkley building (Judge Frank Hiscock, a founder of Hiscock and Barkley, was a long time leader within our congregation). No known photos or drawings exist of that building. Our second site was at the intersection of Burnet Avenue and Lock (now State) Street (south side of Burnet). Known as the Church of the Messiah, the initial building was completed in 1843. 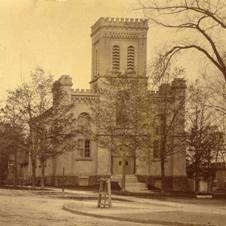 Destroyed by a hurricane in 1852, it was rebuilt and served as our church home until 1885. Our third site was at 472 James Avenue and that church building was dedicated in 1885. It was named the May Memorial Church and served us until 1964. Our fourth site is the current building, referred to as the May Memorial Unitarian Universalist Society, where we have returned to E. Genesee Street at the address of 3800. The pictures below show our last three buildings. Following is a list of May Memorial award winners from 1955-2007. Awardees prior to 1955 were not well documented. Earlier awardees were honored with busts, plaques, stained glass windows, or other means and are not shown in this document. Annual Mary-Lib Whitney religious education awardees are depicted on a plaque outside the DRE office. 1995 Rev. Nicholas C. Cardell, Jr. Following are names and approximate years of service for past Associate Ministers, Interim Ministers, Religious Education Leaders, Music Directors, and Organists. However, this information is no doubt incomplete because accurate records of everyone in these categories were not maintained. What is shown was obtained by examining church archives and published church histories. 1Religious education leaders had a variety of names over the years, such as Director of Religious Education, Superintendent of the Institute of the Sunday School, Sunday School Superintendent, Youth Program Coordinator, Director of Church School, Religious Education Director, and Religious Education Coordinator. Some years of service are approximated based on archival information. 2Some years of service are approximated based on archival information. 1The plaque for the award resides on a wall outside the RE Director’s office. Following is a list of all those who have served as presidents of May Memorial in its long history. The church’s archival records have not revealed the names of anyone serving as president and/or board chairman earlier than 1890, although we trace our roots back to around 1835. Certainly there were people who served in a top leadership role, but different names no doubt were used. Examine our two church histories on-line for information on early leaders. Including only the names of presidents does little to account for the many people who have served this institution in a leadership role. However, they can serve as a symbol of the many dedicated people who have volunteered their time to ensure the development and continuation of our hallowed organization. *Through 1953, the church year began in January. Beginning in 1954, the church year began in the middle of the year. We gather here today to honor those ministerial leaders of past generations. We are thankful for all our past leaders as well as those ancestors who led the way. Then we can go forward in hope that we and our church descendents will continue guide this institution. Each past minister’s name, title, and dates of service is read in order by a different person from among those in attendance with the Chalice being chimed after each one. This east wall and the ministers’ photos are hereby designated as a place of important connection to the Memorial Room and to May Memorial. Therefore, we solemnly and joyfully recognize these 12 photos of our past ministers and dedicate them as a place of honor. We celebrate the dedication of this historic place. Thank you for your interest in participating in this project with the MMUUS History Committee. It is our hope to have many personal recollections of historical events of May Memorial, as recounted by long-time members and friends. Our plan is to use digital technology for the new recordings so that they can be easily stored on computers and excerpted for our website. As more people become involved with this project, it will be important to keep track of who has been interviewed. So, for now, please keep Roger Hiemstra and Mary Louise Edwards informed so that they can keep the master list of interviewees up to date. Explain the permission form to the person you are going to record, and make sure that it is signed by you and by him/her. If the individual wants restrictions placed on the use of the recording, s/he should specify that and sign the bottom of the form. The history committee has developed a set of questions to help structure the interviews and to elicit certain types of information. These are just guidelines; refer to them as needed, but don’t feel that you have to get through all of them. If the person you are interviewing has a lot to say about a particular issue or event, go with that. It seems to work best to let the interviewee do most of the talking. At the beginning of the session, give your name and the date, and ask the interviewee to also give his/her name. The recorder has five “folders,” A-E.
Press the FOLDER button on the side of the recorder to choose a folder. Each time you use the recorder, it’s a good idea to use one folder for all your files (i.e., recorded sessions). The display will show the name of the folder, as well as the current file number and the total number of recorded files in that folder, for example, 04/06, FOLDER C.
When you press the RECORD button, a new file will automatically be started in the same folder. When you return the recorder, leave a note with it telling who you recorded and the location of the files (if you have not erased them). Batteries – The recorder takes 2 AAA batteries. Check the batteries before the session, and remove them right after you finish the recording. There should be new batteries in the bag, if needed. Settings – The settings shouldn’t have to be changed. The VCVA feature should be left off. Stereo SP (2 hours) and Stereo High Quality or HQ (65 minutes) both give acceptable recordings. The internal microphone should already be set on “conference” (rather than “dictation”) in order to also record the voice of the interviewer (p. 22). The recorder should be placed on a soft surface, such as a padded chair. There is a small folded towel for this purpose in the bag. Don’t hold the recorder in your hand while recording, as that causes extraneous noise. Before the interview, make sure that the batteries are fully charged and that the settings are correct; push the HOLD button forward so that the settings will stay as they are. When you are ready to begin the interview, release the HOLD button on the side of the recorder (by sliding it back toward you). Press the record (REC) button. If the red light comes on, you are recording. To pause briefly during the recording, press the REC button. To resume recording, press REC again. Press STOP to end the session. To hear what you have recorded, press REW to get the beginning of the file, then press start. If you press REC again, a new file will be started. A: Remove the batteries and return the recorder to the MMUUS office or directly to Roger Hiemstra or Mary Louise Edwards. Leave a note with the recorder telling who you interviewed and the location of the file (for example, Folder C, files 06 and 07, and 08). It would be a good idea to also let one of us know by phone or email. - Download the audio file to your computer, and give it the name of the person you have recorded. - Send the audio file as an email attachment to R. Hiemstra. - If you have the capability, burn two CDs of the session, label them with the name of the interviewee and the date, and leave them at MMUUS with the recorder for the History Committee. - ERASE the audio files from the recorder. (See the directions on pp. 31 & 32 of the gray instruction book. If you have your own digital recorder, use the suggested questions to structure your interviews, and send your audio files to R. Hiemstra and M.L. Edwards, with the name of the person interviewed, the date of the recording, and any other pertinent information (such as specific topics covered in depth in the interview). Please remember to have the permission form signed and to leave it at MMUUS for the History Committee. 9:00 a.m. – 4: p.m.
- Why is church history important? Members of the May Memorial Unitarian Universalist Society History Committee will share their experiences and growing expertise pertaining to the preservation and promotion of historical records, mementoes, and material with other interested church members. The goal of a corresponding one-day workshop is to enhance the preservation, display, and portrayal of historical information throughout St. Lawrence District. One workshop will be at MMUUS on October 27, 2007, and the second workshop will be at First Unitarian Society of Schenectady on November 10, 2007. Each one-day workshop will be for an estimated 25-30 people from UU churches within a reasonable driving distance who are interested or already involved in preserving church history. An estimated registration fee of $25.00 to $30.00 will cover expenses incurred by the host church in providing the meeting space, necessary AV equipment/supplies, refreshments for breaks, and lunch. Coffee/tea/juice and light refreshments would be available at arrival time. MMUUS History Committee members will be the presenters. At the Schenectady church, a central gathering space will substitute for the Social Hall at MMUUS in the above schedule. A powerpoint presentation of slides related to all of our past church buildings and on the construction of our current building made up the “sermon” part of the service. The dedication of the “Memories” wall in the social hall immediately followed the service. The material below was a summary handout distributed to those in attendance. May Memorial’s history begins in 1836 when a few Unitarian families moved to the Syracuse area. They got together for occasional services whenever a traveling minister was available. Sometimes they met in homes, sometimes in a school building, and occasionally in an old Baptist Church on West Genesee Street. A decision to become an organized church began with a covenant signed by 14 people on September 3, 1838 (noted as September 13 in one source). Several people took part in a first communion service on September 3, 1838, administered by Rev. George Ripley, a Unitarian minister. Rev. Joshua Leonard (shown in the list of members for the first 100 years of the church) was listed as involved, but not much is known about him. On October 4, 1838, there was an organizational meeting at a Dr. Mayo’s schoolhouse on Church (now Willow) Street, but we know little about that structure. The elected officers are known and the proceedings were legally recorded in the County Clerk’s office on January 2, 1839, making our organization official. 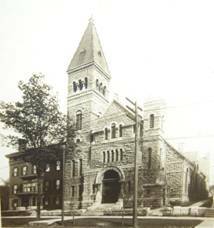 We were known as the Unitarian Congregational Society of Syracuse, but often referred to as the Unitarian Church of Syracuse. Rev. Storer was instrumental in considerable growth taking place, and the small chapel quickly became too small. He then expended considerable energy and traveled frequently back to the east to raise money for a replacement, collecting nearly $2000. Two lots on the corner of Burnett Avenue and Lock Street (now called State Street) were purchased. Additional money raised from parishioners resulted in $5000 to cover the construction of the Church of the Messiah, our second building. It was dedicated on November 23, 1843. Unfortunately, Rev. Storer did not enjoy the success he had on our behalf in raising monies for long as the efforts took a huge toll on his health and he died of a heart attack on March 17, 1844. The designer of the church was Horatio Nelson White, a church member and partner in the construction firm that framed and finished the building. It was 69 feet long, 47 feet wide, with brick walls resting on stone foundations. Masonry work was done by David Cogswell, also a church member. The front door was framed by two square Ionic columns and a stone lintel. Above the pediment over the entrance stood a square bell tower topped by a weather vane. Inside the front entrance way were stairs down to the basement and up to the gallery and belfry. The auditorium had "delicate and rich pilasters and entablatures of marble on either side of the pulpit." That building was enlarged in 1850 as our congregation continued to grow. No known pictures of that second building exist, but it was described as having a steeple and a later drawing depicts it that way. Unfortunately, in the early morning of Sunday, February 29, 1852, a big wind storm (officially categorized at the time as a hurricane) came through Syracuse and basically demolished the building. The rear wall fell on to the house behind us, destroying it but sparing the people inside (our ancestors paid to have the house rebuilt). A new building was built on the same spot, minus a steeple (only photos of this second building exist), for a cost of nearly $10,000. Most of those monies were raised by the sale of pews. However, $2,000 was contributed by friends in New York and New England, and $750 by members of other denominations in Syracuse. It was dedicated on April 14, 1853.
should be built. Horatio White was authorized to solicit construction proposals and find a new lot. Early the following year a vote approved purchasing a lot at 472 James Street. At subsequent April meetings it was resolved that material for the structure be Onondaga Limestone with a rough Ashler finish; Horatio White was again appointed the architect. On June 7, the building committee contracted with Mr. E. M. Allen to build it at a price of $29,000. However, it was later found that the total cost would be approximately $50,000, $12,000 more than available funds. To meet this deficit the Trustees asked for and received the necessary additional money. The construction proceeded rapidly and the church was dedicated on October 20, 1885. Continued growth prompted the need for another new building. Subsequently, 80 church members became involved with new building plans by working on 11 committees. They interviewed 14 architects and eventually hired Pederson, Hueber, and Hares, a Syracuse firm that contracted to work with the eminent architect Dean Pietro Belluschi of MIT as design consultant. After numerous committee sessions and six congregational meetings, the committees prepared background information for the architect, including a request for the use of natural materials and design simplicity. They asked for architecture marked by beauty, dignity, serenity, strength, stimulation, and challenge. The new building was to be ready in the fall of 1964 at a cost of $446,391. To meet this need the society borrowed $180,000 to be repaid over 30 years. At the annual meeting in the spring of 1964, the finance committee reported another record amount in pledges, $52,000. In September a $75,000 offer for our James Street property was accepted, just in time to pay for furnishings and equipment needed to open the new building. The construction activities proceeded over several months and a formal dedication was held on Sunday, October 10, 1965. Design architect Dean Pietro Belluschi flew in from Boston for the occasion. Organ builder Walter Holtkamp was also recognized. John Fuller's sermon dedicated the building to "the truth that makes men free...the spirit of liberty...brotherhood...ongoing works of love...peace...the worship of God and the service of man." He said, "Let this hall be the sanctuary of every seeking, questing soul, and let this house forever have an open door to all truth and all men."